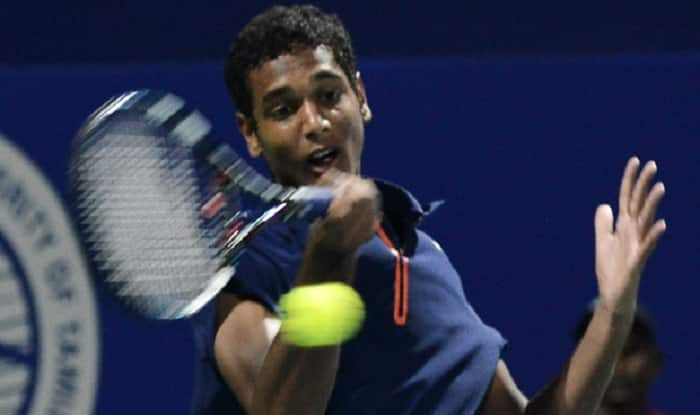 Ramkumar knocked out Spain's Guiterrez-Ferrol 6-3 6-2 in his men's singles opening round of the Australian Open qualifiers. India’s Ramkumar Ramanathan and Ankita Raina recorded straight-sets victories to make a promising start at the Australian Open qualifiers but Karman Kaur Thandi went down fighting in the first round here on Tuesday. Seeded 21st, Ramkumar knocked out Spain’s Sergio Guiterrez-Ferrol 6-3 6-2 in his men’s singles opening round. “It was a very close match. We played a very long game at 2-2 on my serve, I held. He also held his own but after the new balls came in I broke him. I served well and that helped. At big moments also, my serves came out well,” explained Ramkumar. Prajnesh Gunneswaran will open his campaign against Croatia’s Viktor Galovic on Wednesday. Appearing in her third Grand Slam Qualifiers, Ankita (ranked 205) got the better of Myrtille Georges (ranked 238) from France 6-2 6-2 in her opening round. “I have been working on my serve for the last six months and today I got some dividends from it. My first serve percentage was high and got me many points but most satisfying was winning points on my second serve. Usually that used to be low,” Ankita told PTI. “Also, today, I hit a lot of winners but should control the number of unforced errors,” she added. Ankita next faces Spain’s Paula Badosa Gibert, ranked 140. Competing at her maiden Grand Slam, Karman made a nervy start but in the second set put up a good fight against world number 115 and 16th seed Jennifer Brady before losing 0-6 5-7.